In trade and the maintenance of business dealings and relationships, the manner in which you correspond with colleagues, counterparts and clients, speaks volumes about your business and its reputation. Your company letterhead adds to that volume, as with style and taste, it should convey your corporate identity and logo clearly, as well as important details pertaining to your business. Your letterhead design should therefore be a correspondence document mirroring your business flair, be pleasant to look at, and be a point of reference for those wanting to know more about your company and how to start, or maintain contact with you. At Butterbee Solutions we have developed particular design guidelines which will ensure your letterhead includes pertinent information, looks great and retains your company branding and corporate identity. 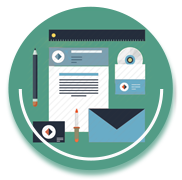 Not only this, but we assure you a letterhead which carries with it surety for those you correspond with, reinforcing that your business mind and operational procedure is backed by nothing but professionalism and a sound business ethic. Your company letterhead cannot be underestimated or deemed unnecessary, as every single person or company you correspond with, translates to future business for you. So contact us now and we will help you design tasteful, eye-catching letterheads sure to impress those already involved in your day-to-day business dealings, and those you see as potential future business.